The day has become a bit of a bear, so, in lieu of anything profound, the Rude Pundit offers this recent find at Bed, Bath, and Blow Jobs. 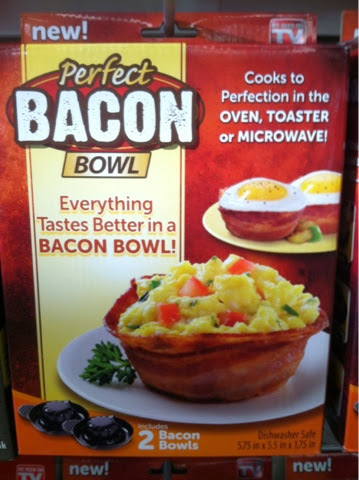 If you are eating food from a bacon bowl, you, dear sir, dear madam, you should question your life choices. A Haiku For Columbus Day : Did you ever feel like you're on a ship sailing off the flat earth's edge ?